Flexible faq, problem, and task management software solution for Windows users. 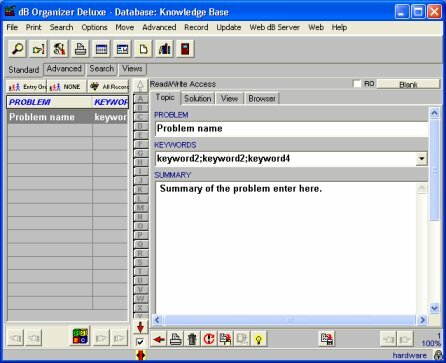 Manage and organize knowledge base. Track topics including: problem/question title, keywords, problem summary, and solution. Easily maintain information about all your hardware problems in very easy form.